I think it depends on the person some people do not want therapy I believed my husband could benefit from therapy after just one session he said he was fine implying you have to be ill to want, need therapy. People with Mental Health Conditions who fail a reality test are unlikely to benefit from therapy medication is more likely to help. 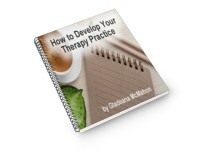 Like any service a person has to want therapy and enter it for the right reasons. Forcing someone to have therapy is pointless.